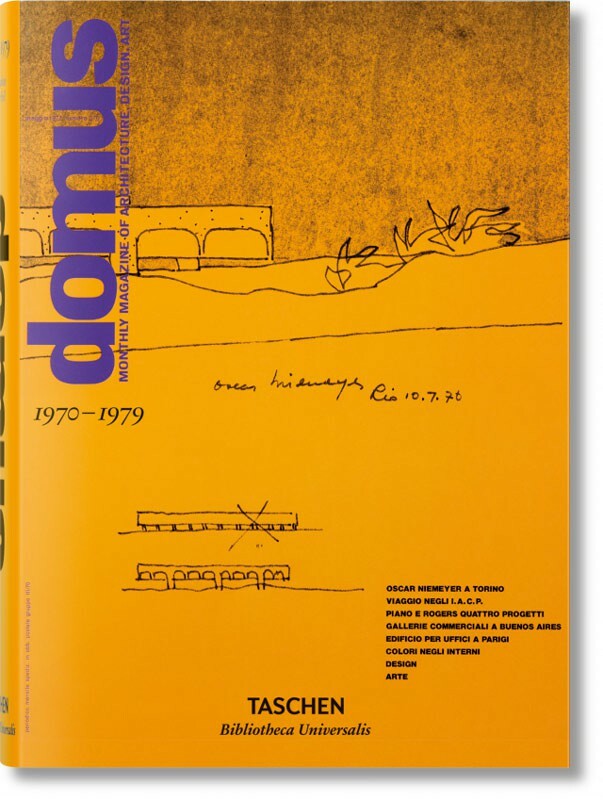 Founded in 1928 as a “living diary” by the great Milanese architect and designer Gio Ponti, domus has been hailed as the world’s most influential architecture and design journal. 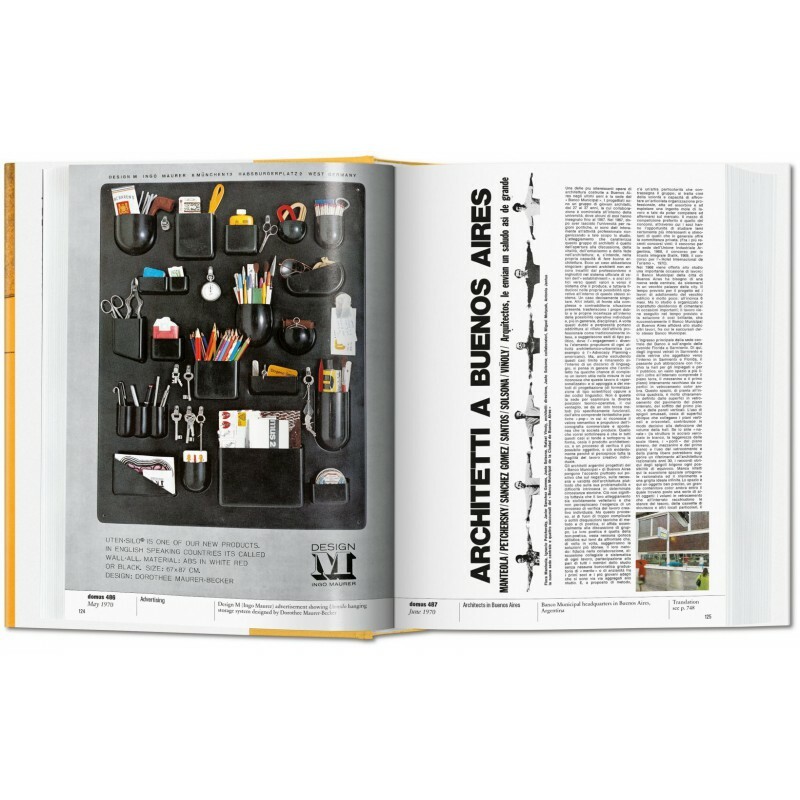 With style and rigor, it has reported on the major themes and stylistic movements in industrial, interior, product, and structural design. 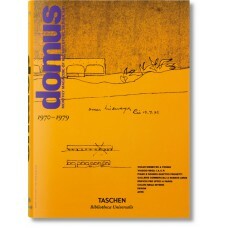 This fresh reprint of domus’ 1970s coverage brings together the most important features from an era trending towards individuality and ecological awareness. 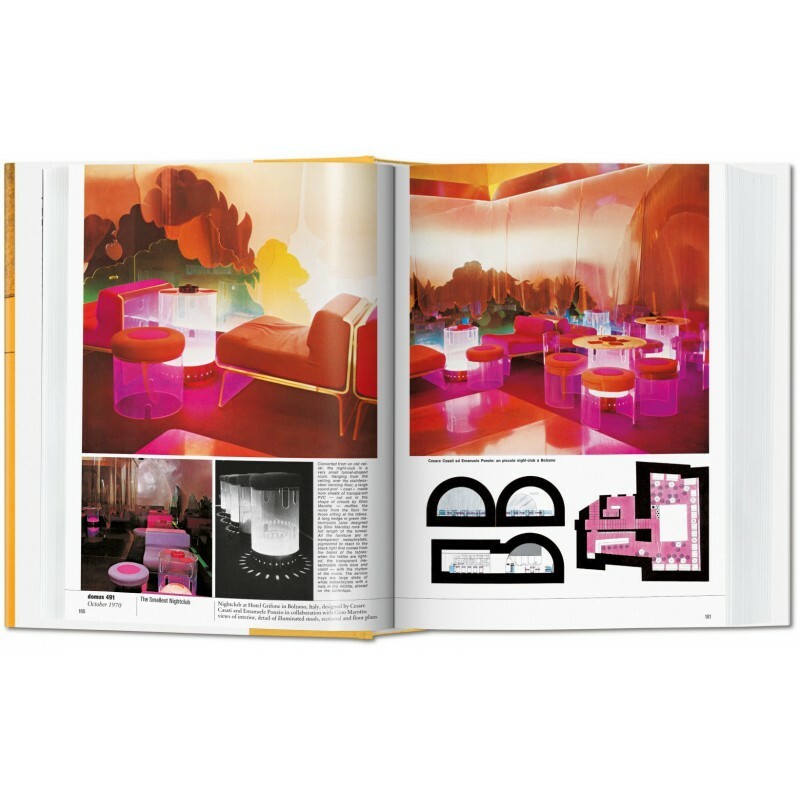 The early ’70s saw seismic changes in architecture and design, as a trend towards individuality manifested in novel styles and construction methods. 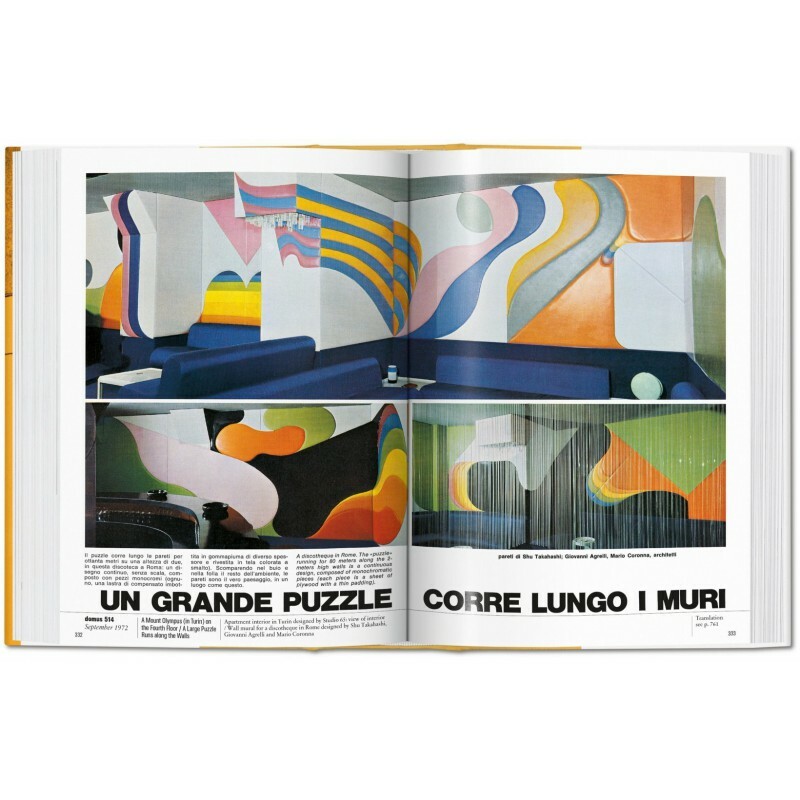 Futuristic work by Luigi Moretti stood in contrast to practical designs by Renzo Piano or Richard Rogers; elsewhere the first postmodern tendencies could be detected. 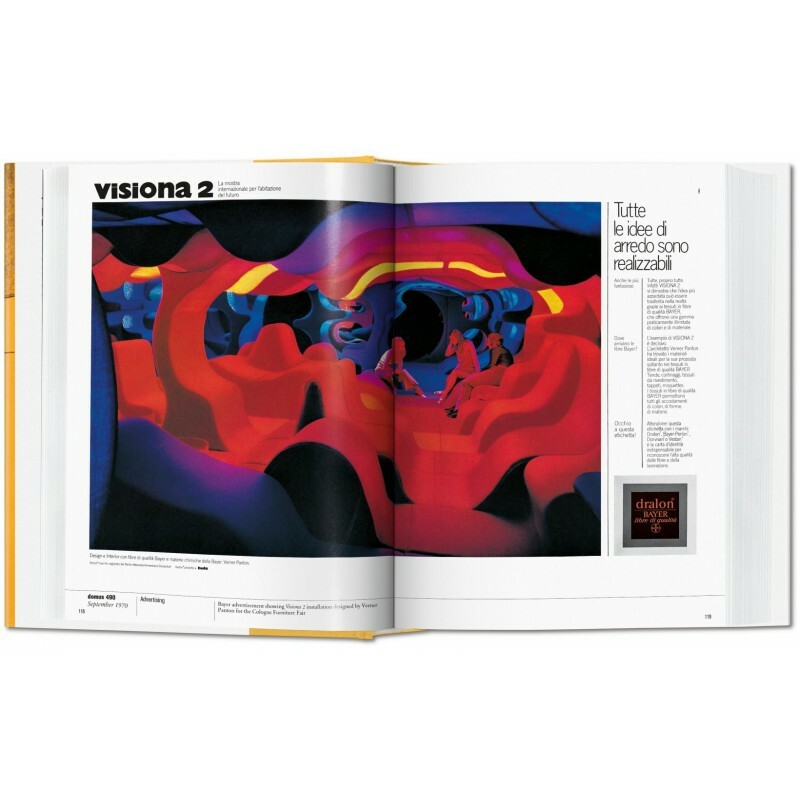 Japanese architect Kisho Kuramata created metabolic buildings and city planning, while the living landscapes of designers Verner Panton and Joe Colombo opened new vistas. The mid–’70s saw a global energy crisis resulting from oil shortages. As a result, architecture and design moved to embrace alternative resources, ecological building methods, and recyclable materials. 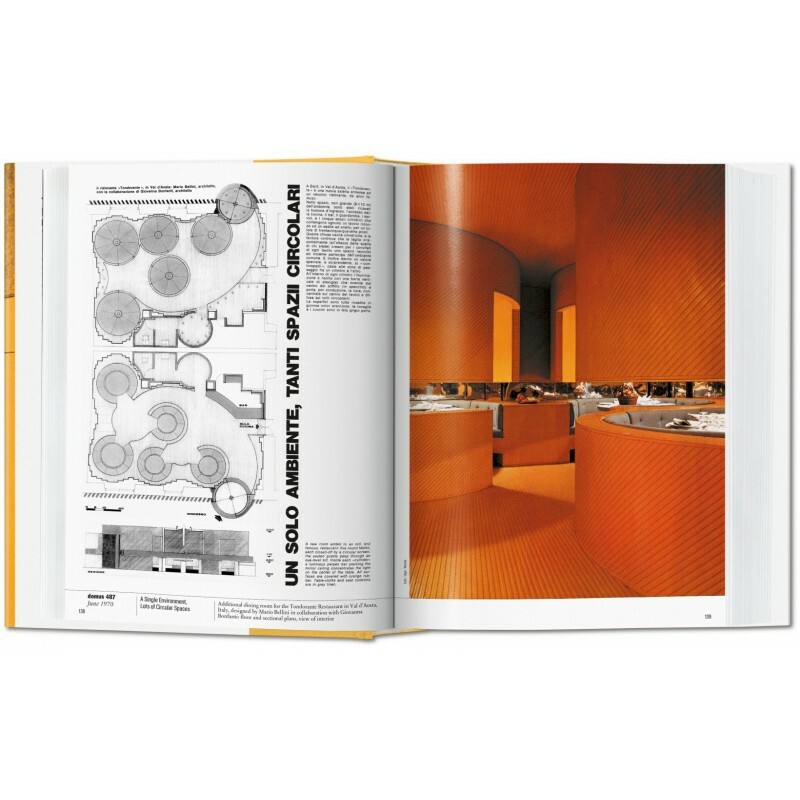 Featured are postmodern buildings by Richard Meier, the modernistic structures by Foster Associates, the Centre Georges Pompidou by Renzo Piano and Richard Rogers, and the work of the Japanese architects Arata Isozaki and Kisho Kurakawa. Also included are designs for transport systems, office machines, and electrical appliances.